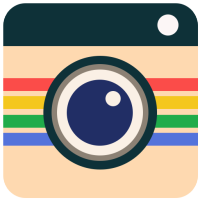 Post full picture on Instagram with Square InstaPic – No crop photo squarer app. This photo editing app makes all pictures into squared instasize images for social networks like Twitter, Facebook etc. No more frustration when you have to crop your great full size photos before posting to social networks. This photo editing app also provide camera function so you can quickly take a photo, apply desired effects and with one click share created photo directly to Instagram app. It’s as easy as that! 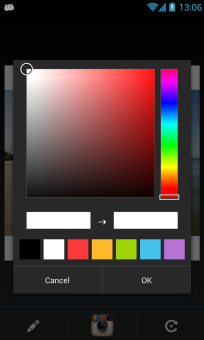 This app allows you select any color as picture border. You can even add text to make your photo more personal or use text for copyright purpose or use various background patterns. 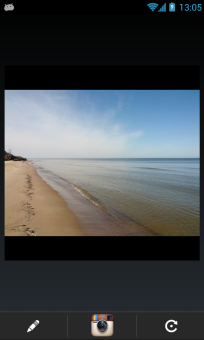 Easily import photos from your albums or take a photo directly with camera on Square InstaPic. 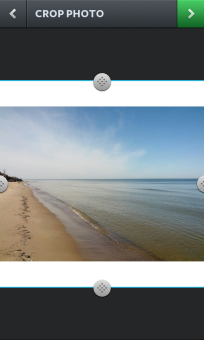 Compatible with both portrait and landscape pics. With new Square InstaPic v2.0 photo editor you can now create Instagram compatible photo collages. This is first instasize photo squarer app which offers photo collage option. Now you can create even more beautiful collage images. Please add #SquareInstaPic hashtag to your photos before posting to get more likes and followers! 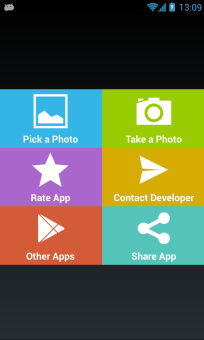 ★ Share photo to any app like Twitter, Facebook, Email, Bluetooth etc. Brilliant app! Use it everyday. 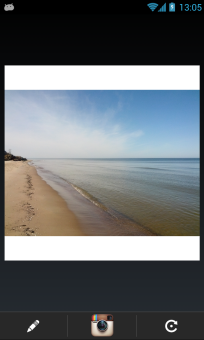 Makes posting pictures to Instagram really simple by making them square-ready with any colour background and you can post them straight to Instagram within the app. Really nice,but you should put a text to make thr photo better, but still great!! Love it,better than the other instasize apps! !